We’re talking about Elizabeth I of course, not the current queen, Elizabeth II. 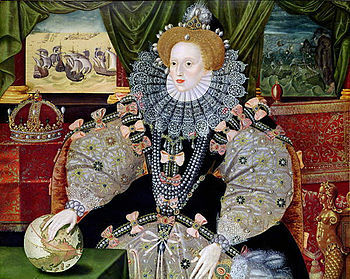 The reign of Elizabeth I (1558-1603), now remembered as the Elizabethan Era, coincided with the flowering of the English Renaissance and is considered the golden age of England. The reign of Elizabeth II, meanwhile, has coincided with the decline of England into irrelevance and is unlikely to remembered by name in a fond way.